Ben Wallace of Yale Law School won the Top Gun National Mock Trial Competition on June 5, 2016, in Waco, Texas. The case this year was a criminal trial in which the defendant was charged with Aggravated Bank Robbery. For winning the tournament, Wallace received a $10,000 prize and the title "Top Gun." "This is the best competition in law school mock trial," said Wallace, "it was an honor just to be invited and it's even more of an honor to win." 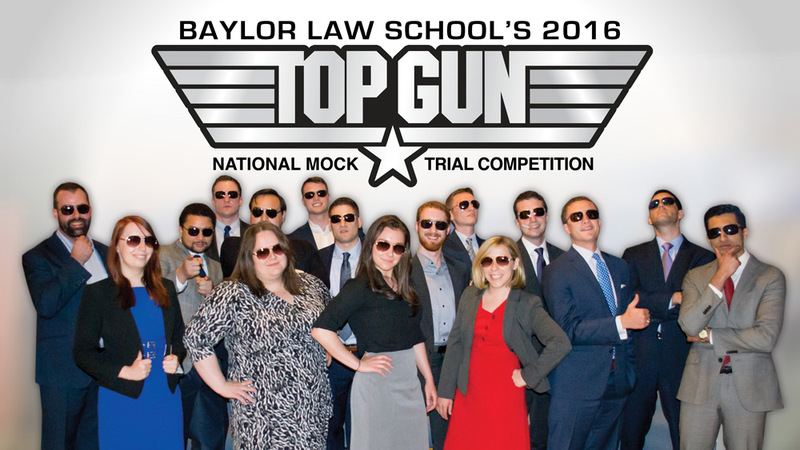 Now in its seventh year, Baylor Law School's Top Gun National Mock Trial Competition is a prestigious, invitation-only mock trial tournament. The best advocates from some of the nation's top sixteen trial advocacy schools compete head-to-head in the winner-take-all tournament. "We started Top Gun in 2010 to be a new type of competition that challenges the most successful mock trial competitors in the country," said Gerald Powell, The Abner V. McCall Professor of Evidence at Baylor Law School. "Top Gun gives the advocates a chance to compete against the very best and most talented law students in the country," continued Powell. "Our competitors leave the competition with a sense of pride in their accomplishment." 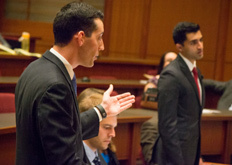 Baylor Law School distinguishes its Top Gun competition from other mock trials with its innovative rules. Competitors do not get to prepare for the case prior to the start of the competition. 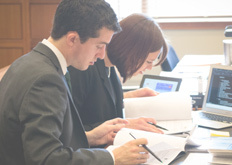 Once they arrive at Baylor Law School, the competitors are given a case file and only 24 hours to prepare before competing in the first rounds. The case packets contain depositions, records, photographs and videos. Witnesses are provided and the competitors have only a short period of time to prepare them for the round. As the host, Baylor Law School does not compete. "Top Gun is unique—competitors only have 24 hours to prepare the case; there is only one lawyer for each side; the case file changes in some respect every day of the competition; and then there is the prize money—$10,000 thanks to our great friends at Naman Howell Smith & Lee," said Powell. 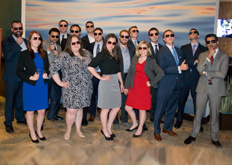 Baylor Law School's Top Gun National Mock Trial Competition is sponsored by the law firm Naman Howell Smith & Lee, PLLC, which has offices in the Texas cities of Austin, Fort Worth, San Antonio, and Waco. A bank robbery in Waco, a reformed ex-con accused of robbing the bank, a get-away driver snitch, and a missing boyfriend who could be the key to the case. The 2016 Top Gun competition was a classic tale of "who done it?" Fictional character John Hogan was charged in federal court with Aggravated Bank Robbery after the get-away driver names him as her accomplice. This year's fictional case featured nine witnesses and nearly ninety exhibits, including depositions, photos, and surveillance video. The Top Gun competition is nationally known for its realism and attention to detail. Included in the case was a special appearance by eight-year-old Kate Counseller, daughter of Baylor Law Professor Jeremy Counseller. Playing the role of an eyewitness to the robbery, Kate's testimony in the final round introduced issues regarding the competency and testimony of child witnesses. Additionally, Dr. Charles Weaver, a nationally-renowned expert in eyewitness issues and professor at Baylor University, testified in the final round, giving competitors a shot at examining a real expert who is at the top of his field. For the first time in the history of the Top Gun Competition, the final round was a rematch of the previous year between Ben Wallace from Yale Law School and Rahul Hari from New York University School of Law. Being the last year both were eligible to compete, this year’s Top Gun was particularly special for them. Since debate tournaments in high school, they often found themselves facing off in the final rounds of competition. Wallace claimed this year's title of Top Gun, Hari won the competition in 2015—a final testament to how closely matched these two lawyers are. Baylor Law School wishes both of these Top Guns good luck as they move on from law school to real practice. In addition to winner Ben Wallace from Yale Law School and finalist Rahul Hari from New York University School of Law, the semi-finalists were Rachel Holt from Drexel University, Thomas R. Kline School of Law and Leon Hunter from Stetson University College of Law. Belgin Palaz from American University, Washington College of Law received the Professionalism Award, Ben Wallace along and Nick Crown (2nd chair and technology assistant) from Yale Law School won the Courtroom Technology Award, and Rahul Hari from New York University School of Law received the Excellence in Evidence Award. Established in 1857, Baylor Law School was one of the first law schools in Texas and one of the first west of the Mississippi River. Today, the school has more than 7,200 living alumni. It is accredited by the American Bar Association and is a member of the Association of American Law Schools. Baylor Law School has a record of producing outstanding lawyers, many of whom decide upon a career in public service. 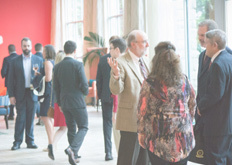 The Law School boasts two governors, members or former members of the U.S. House of Representatives and the U.S. Senate, two former directors of the FBI, U.S. ambassadors, federal judges, justices of the Texas Supreme Court and members of the Texas Legislature, among its notable alumni. In its law specialties rankings, U.S. News & World Report ranked Baylor Law's trial advocacy program as #3 in the nation. Baylor Law School is also ranked No. 51 in the magazine's 2018 edition of “America's Best Graduate Schools.” The National Jurist ranks Baylor Law in its top 10 law schools for practical training, and second best value in private legal education in the nation. The Business Insider places Baylor Law among the top 50 law schools in the nation.